The Middle East has established itself as a major exporter of polyolefins, with a strong dominance in Asia. Recent developments in import markets such as China and India – as well as increased competition from the US – threaten its position. 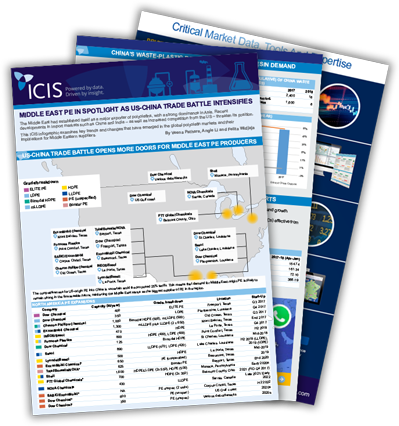 This ICIS infographic examines key trends and changes that have emerged in the global polyolefin markets and their implications for Middle Eastern suppliers.